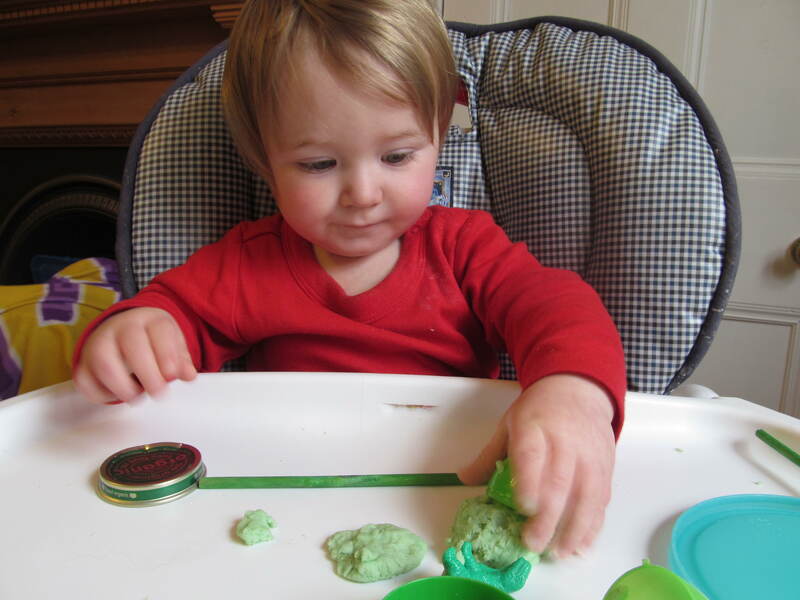 I gave Miles play dough to play with once before, but he didn’t like it. 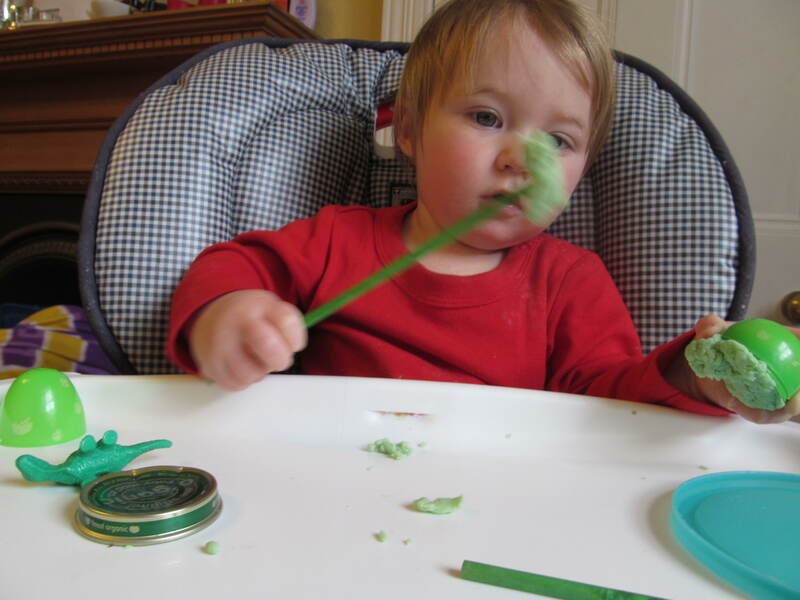 It was a make-your-own using cornstarch and water. It broke apart too easily, and wasn’t the right consistency. 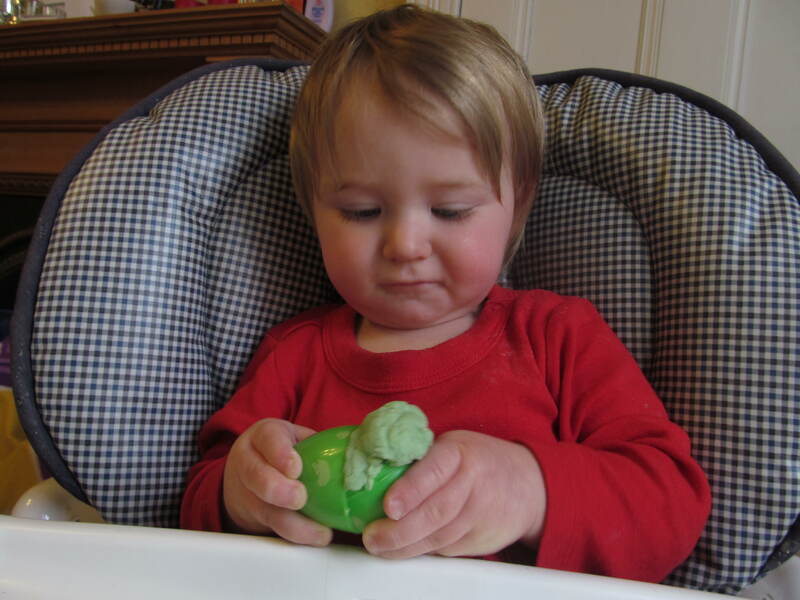 Miles only played with it for 5 minutes, so I figured he just didn’t enjoy play dough, and I haven’t tried it again since. Big Mistake. 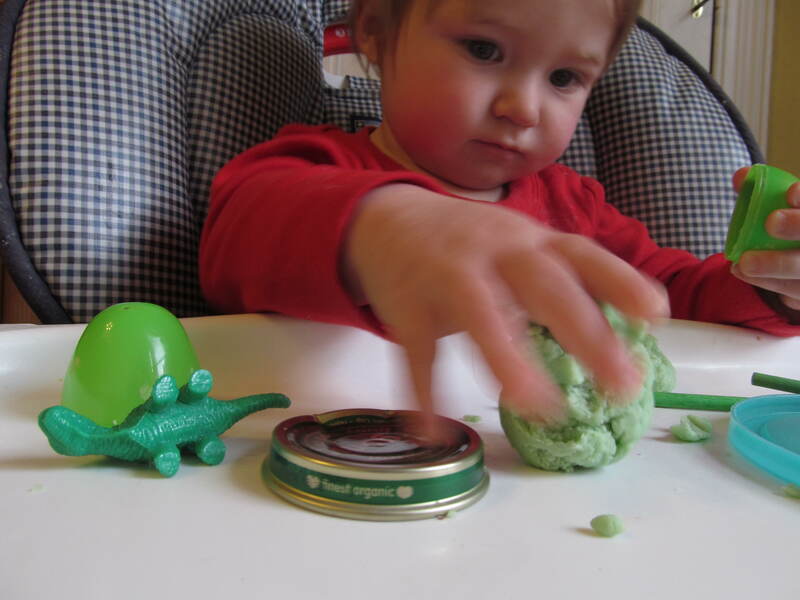 I found a recipe for one minute playdough here. It use only dish washing detergent and flour. I substituted plain white flour for self-raising flour because that’s all I had, and it still worked. It was the perfect consistancy, it came out a lovely pastel green color without any food coloring added to it, and it also smells clean! 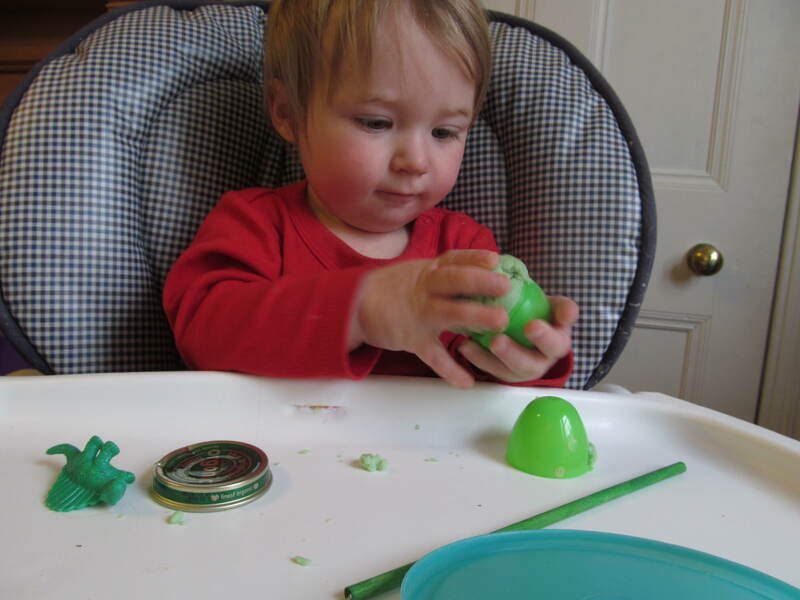 I decided to use the play dough as an opportunity to teach Miles about the color green by pairing it with other green items. 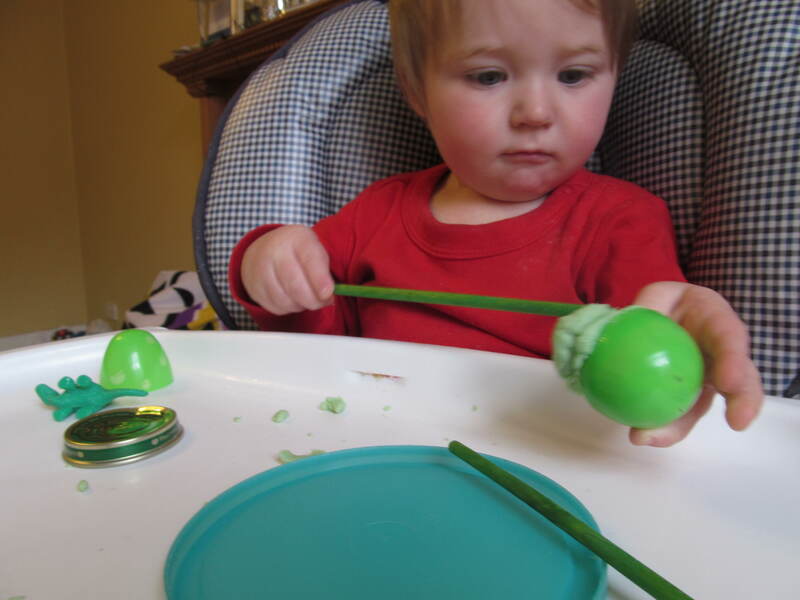 I used a green Easter egg, green wooden dowels, some green tops, and green dinosaurs. Miles absolutely loved it and played with it for about a 45 minutes! 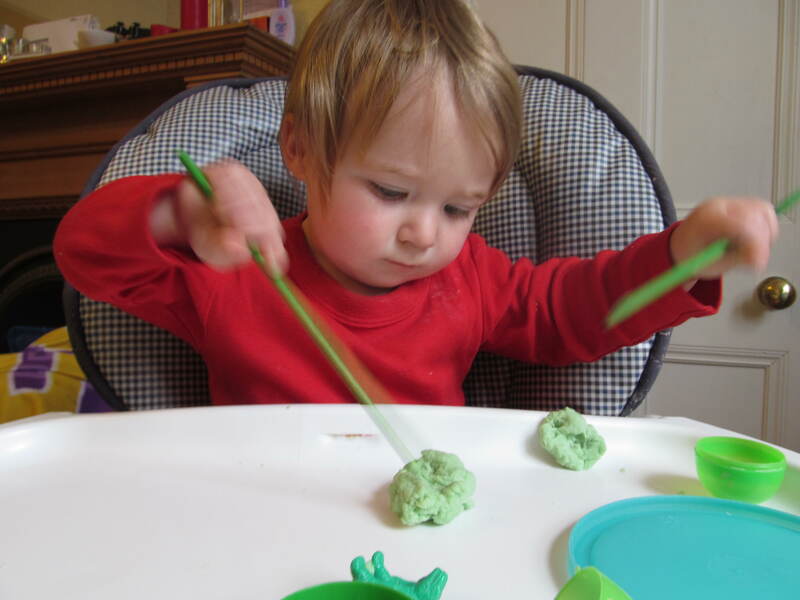 I loved watching him concentrate so hard as he manipulated the play dough in different ways. 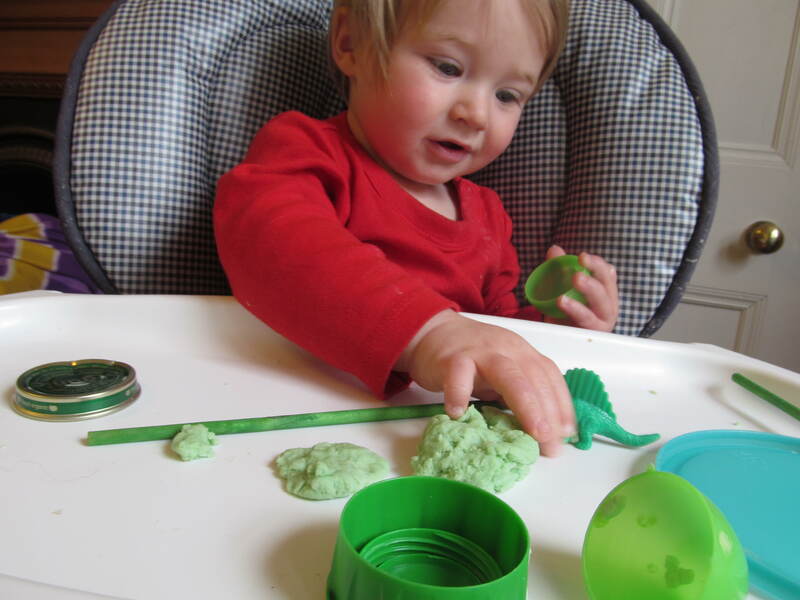 I wish we had been using play dough all along! 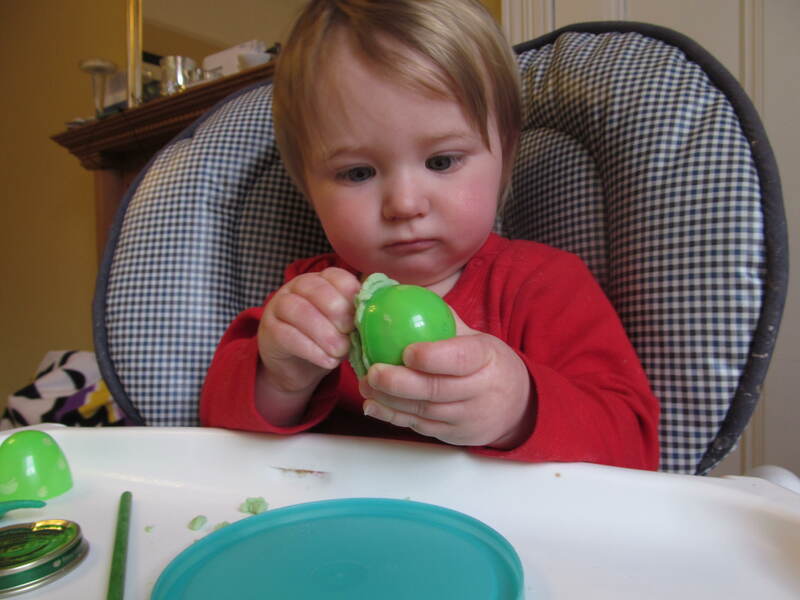 It’s great for fine motor skills, and it kept him entertained for so long. 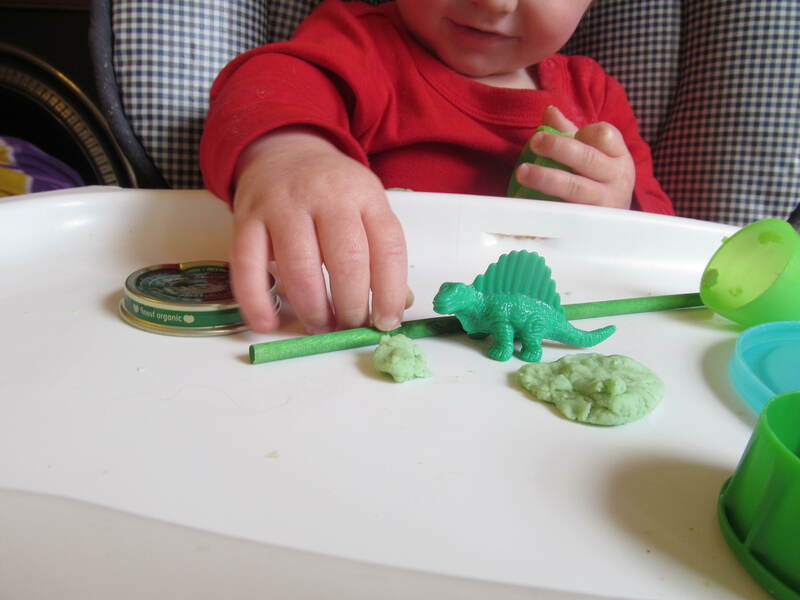 I’ll definitely be using this one minute play dough recipe again in the future!